This was presented very well. Great demonstration and explanation. Thanks Scott! 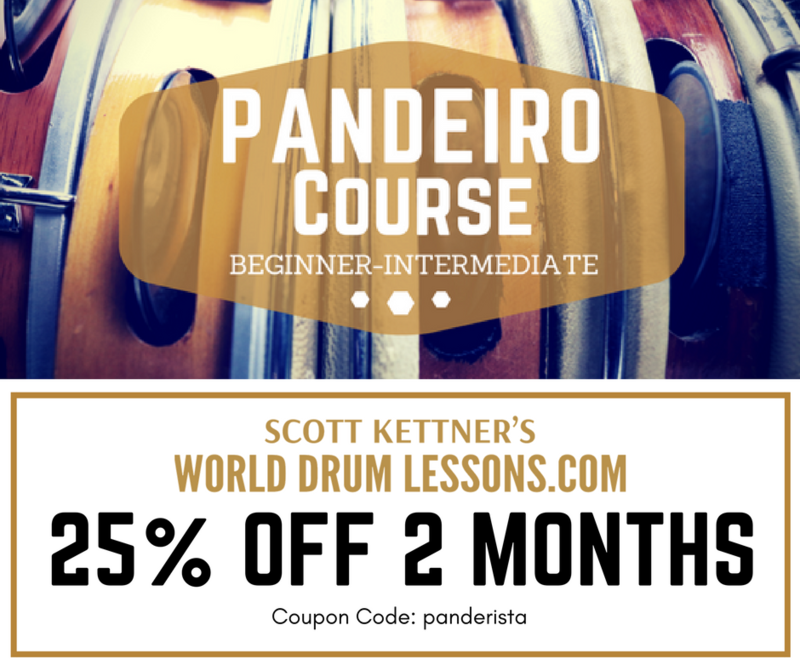 If you’re just beginning to play the pandeiro or wish to bring your skills to the next level, this is a great course for you start with. By now you’ve probably seen tons of amazing pandeiro players from around the world and you’re inspired to start playing. Now’s the time! When you subscribe to this pandeiro course, you’ll get instant access to the entire library. Our online forum allows you to interact with other members as well as submit questions and get weekly responses direct from Scott Kettner. 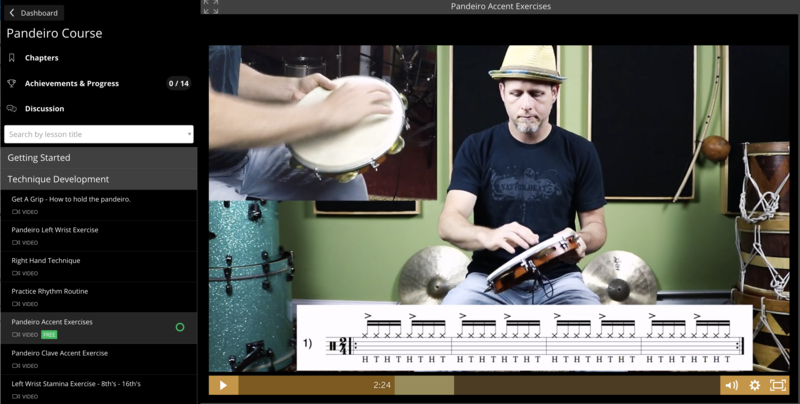 This course is designed to take you step by step starting with technique and how to hold the pandeiro and will also explore different grooves and rhythms from around the world. I have some lessons that are suitable for absolute beginners as well as some that will challenge even the most experienced player, and, I upload new content every month. My goal is to help you develop good pandeiro technique and grow as an artist. When you subscribe you’ll get much more than online video lessons. You’ll become a member of a growing worldwide community connected through the pandeiro. As a member of WDL you’ll have access to the tools necessary to bring your knowledge and playing to the next level. What is The Grid Technique? Three Zones of the pandeiro. Get A Grip - How to hold the pandeiro.